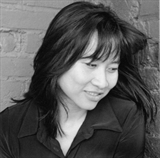 Thanhha Lai’s 2011 National Book Award-winning young adult novel Inside Out and Back Again is the story of Ha, an adolescent Vietnamese girl who lives in Saigon during the Vietnam War. When the North Vietnamese army captures Saigon in 1975, Ha’s family — three older brothers and an industrious single mother — are forced to flee on a naval boat and sent to live in Montgomery, AL. Based on some of Lai’s own experiences as a Vietnam War refugee who was resettled in Alabama, the novel is composed of short poems from Ha’s perspective. They detail her first year in Alabama, illuminating facets of the recently desegregated American South during the 1970s, as well as capturing the difficulty of being a new immigrant in a very foreign place. We asked Lai to tell us about three things from the South that surface in her novel. As a child growing up in Vietnam, what you know about American culture is that it’s full of cowboys. America is where cowboys reigned supreme — they ride around on horses and shoot each other. In the same way American kids saw me as this war-torn child running down the street naked, I had my preconceived notions of them as being blood-thirsty cowboys in a wild country. All of the spaghetti Westerns — The Good, the Bad and the Ugly; For a Few Dollars More — I grew up memorizing without understanding English. I totally invented the character of our immigrant sponsor [required for entering refugees] as a cowboy. In my mind, he was wearing Wrangler jeans, one of those button-down shirts with shiny buttons and a cowboy hat. He was the tallest, biggest, buffest man I’d ever seen. and stare at the hydrangea bush — at this huge blue cluster of flowers.